I samarbeid med vår langsiktige partner, Jöst Abrasives i Tyskland, tilbyr vi innovative, høyteknologiske slipe- og gulvvaskemaskiner og slipe- og gulvvaskesystemer til det norske markedet. Effektive og brukervennlige tyske kvalitetsprodukter som sliper støvfritt og vasker kjemikaliefritt. Profesjonelt resultat hver gang. 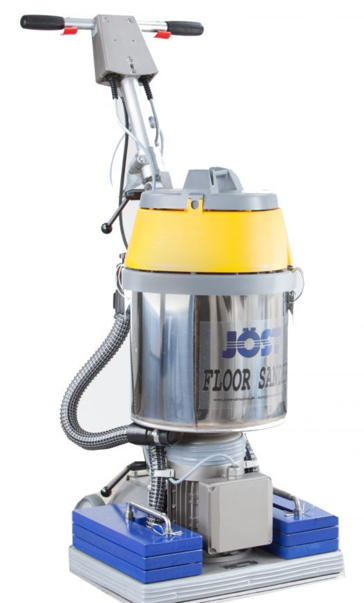 Jöst Floor Sander (335 x 485) . The Allrounder – from dry sanding to wet cleaning. Simple to use. 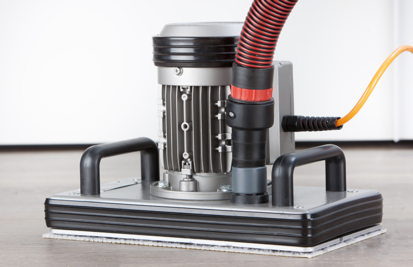 Dust-free sanding and high sanding power thanks full-surface extraction system. Straight-edged sanding right into the corners. Ideal for working structured surfaces. 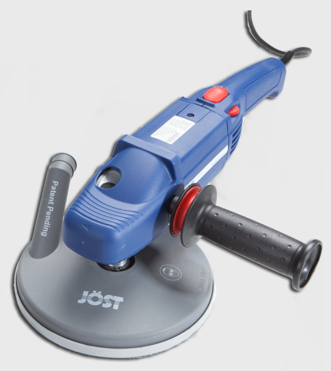 Jöst Floor Sander Junior (190x340). The junior version of the Floor Sander is a true multi-functional solution for perfect floor treatment. Low weight and a compact design make it easy to handle. The Floor Sander Junior is great for working staircases and in narrow and low areas where space is tight. Edges, corners and stairs can be sanded with almost no effort and Dust-Free. Jöst Big Boy (335 x 485) . 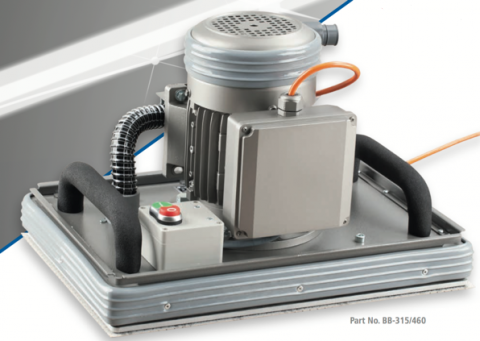 A strong partner for large surfaces – Powerful, efficient and reliable. 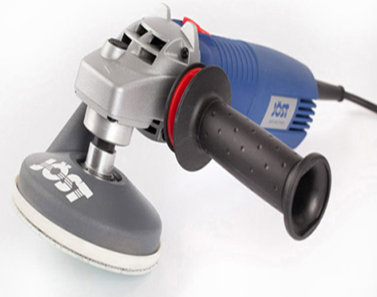 The Big Boy orbital sander is especially suitable for the sanding of large surfaces. Its sanding surface is 8 times higher than that of conventional, 150 mm-diameter orbital sanders, enabling the efficient and high-quality sanding of large worktops, door panels and even small rooms. Jöst Big Boy Junior (190x340). The compact class for perfect surfaces The Big Boy Junior orbital sander is especially suitable for the sanding of large and smaller surfaces. Like its big brother, it offers the full processing spectrum, from coarse sanding and polishing to the cleaning of almost any surface. 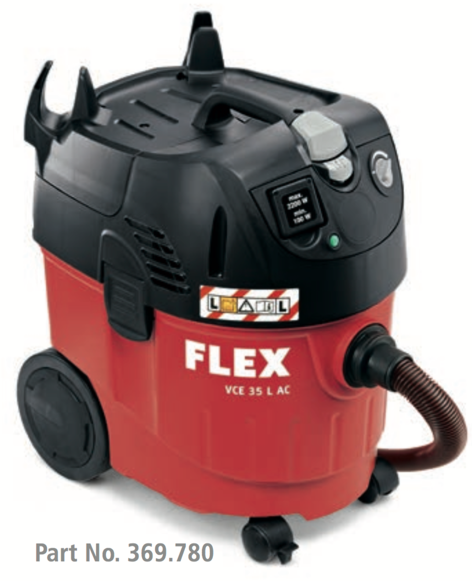 FLEX Safety vacuum cleaner. 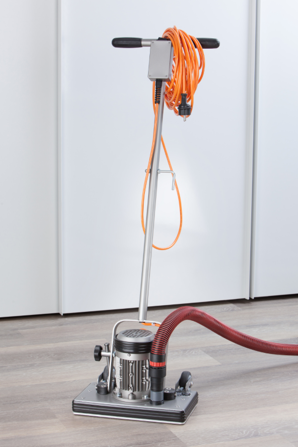 Ideal combination for the suction cleaning with the P1 dust-free sanding system, the Big Boy, Big Boy Junior and the Floor Sander Junior. Easy handling and extremely high suction capacity. Safety vacuum cleaner with automatic filter cleaning, 34 l , class L.